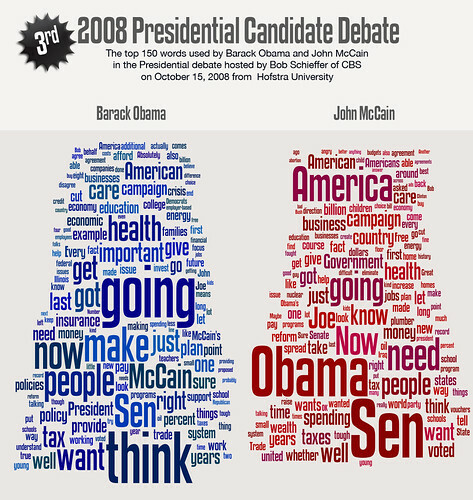 View full word frequency count. 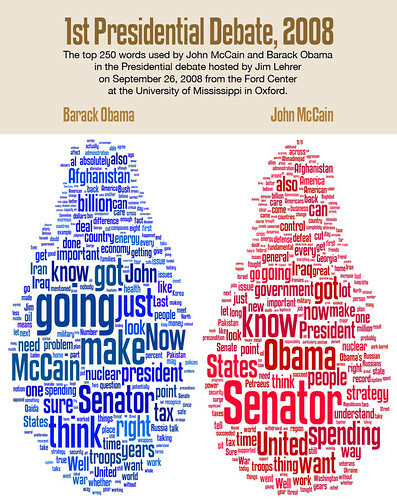 Whoa, McCain likes to talk about himself a lot. He used the word I 211 times compared to Barack’s 144. Lisa! That is probably the most best observation of this word frequency, and it didn’t even make the chart! I really like this! I thought the graphic should have been more true to the word frequency…the more frequent words made bigger….but neat idea. @MILEK Did you even listen to the vice presidential debate? 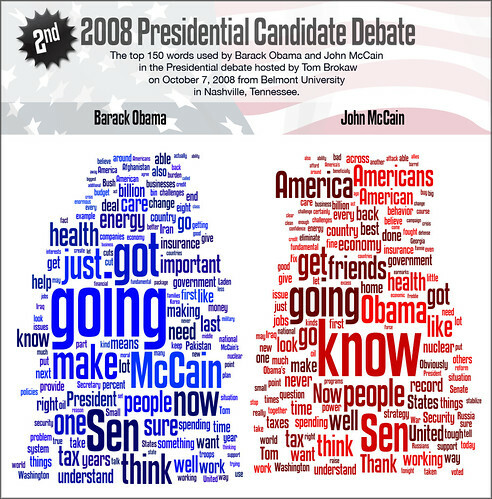 Yes he did place emphasis on down talking McCain but he mentioned Obama in a positive manner many times with specific references to to both candidates. 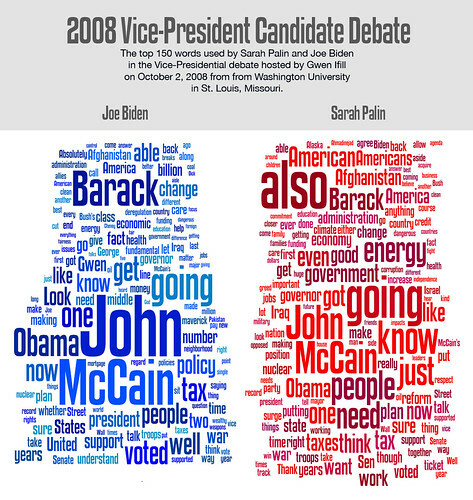 Who he did chose to mention very little was his debate partner Palin. You seem to be the type that is easily convinced by a pretty picture or colorfull graph and nothing else. Your pathetic.